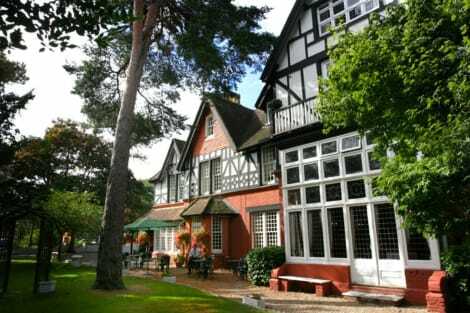 The Edwardian, 3-star Langtry Manor Hotel is found one mile from Bournemouth’s centre. You can dine in the elegant surrounds of Langtry’s Restaurant and tuck into a six-course Edwardian dinner menu on Saturdays. Afternoon tea is available in the cosy lounge and the hotel onsite bar and lounge, and the hotel offers free parking and free wifi to boot. Stylish rooms have en-suite bathrooms with free toiletries, flat-screen TVs; and some rooms have spa baths and four-poster beds. 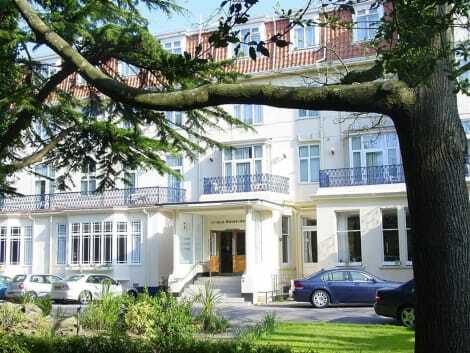 With a stunning setting on the East Cliff in Bournemouth town centre, the 4-star Best Western Hotel Royale is just a few steps away from the shops, restaurants and bars of Bournemouth. Take a stroll along the beautiful beach, or relax in the peaceful hotel gardens. Designed with ultimate relaxation in mind, this lovely hotel has a pool, a restaurant, a cosy bar and free high-speed wi-fi. On-site parking is available on a first come first serve basis at £4.00 per vehicle per night. Parking permits will be issued at the hotel reception desk during check in. Reservation is not possible and fees are payable directly to the property on arrival. 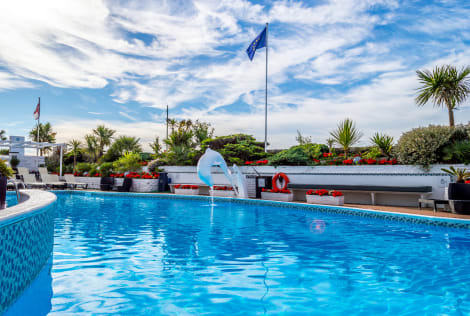 The Cumberland Bournemouth located directly on the seafront overlooking Bournemouth Bay has recently been rewarded a 4-star deluxe Hotel status. 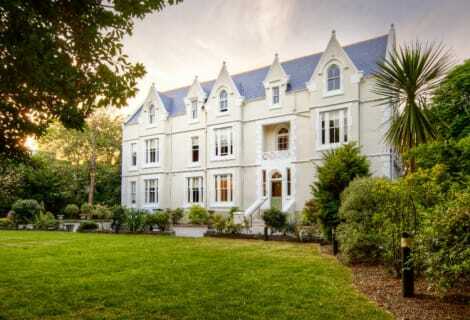 Awarded best value for money and 'Best Large Hotel' 2013, 2011 and 2009 at the Bournemouth Tourism Awards and is now recognised as one of the South Coasts most fashionable and unique properties after several years of major investments. Situated on the prestigious East Cliff, a dramatic coastal resort that's smart, stunning and full of unique personality – overlooking 7 miles of golden sandy beaches, The Cumberland Bournemouth resembles one of Miami's great Art Deco hotels of The Ocean Drive. Many of the 107 rooms offer spectacular ocean sea views, balconies or terraces, and every room consists of tea and coffee making facilities, coloured LCD TV with Freeview, direct dial telephone, hairdryer, toiletries and work desktop. Free Wi-Fi for 500MG or you can update to 5GB for an additional cost. On-site parking is available on a first come first serve basis at £8.00 per vehicle per night. Parking permits will be issued at the hotel reception desk during check in. Reservation is not possible and fees are payable directly to the property on arrival. Enjoy a meal at the restaurant, or stay in and take advantage of the hotel's 24-hour room service. Mingle with other guests at the complimentary reception, held daily. Quench your thirst with your favorite drink at the bar/lounge. English breakfasts are served on weekdays from 7 AM to 10 AM for a fee. 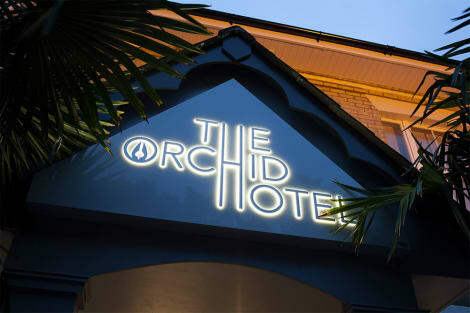 The Green House 4-star boutique hotel sits in the heart of Bournemouth’s buzzing town centre. 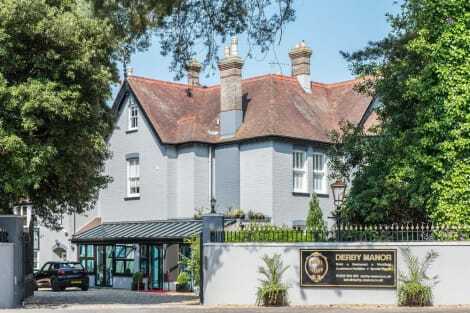 With the main rail station just a stone’s throw away, the hotel sits in a prime location for those wanting to visit hotspots such as Monkey World and the Jurassic Coast. On site, you’ll find the Arbor restaurant, where chefs serve local organic produce. There’s room service and free parking also available. Find your complimentary bathrobe in the room, along with wi-fi access and a town map.